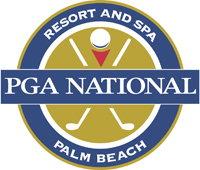 The Palm Beach North Chamber of Commerce celebrates the Annual Leadership Awards on Thursday, May 16, 2019 at PGA National Resort & Spa, widely known as Palm Beach North's premier business event. Guests will enjoy a silent auction, dinner, live entertainment, and of course The Leadership Awards ceremony honoring outstanding leaders and businesses making an impact in the Palm Beach North community. The recipient of the Business of The Year award exhibits exemplary customer service, commitment to the community, a successful response to adversity and provides innovative products and/or services. The recipient of the Community Leader of The Year award demonstrates a commitment to the community of our region by inspiring community-wide support, exemplifying the highest standards of business and community leadership, and having an impact on community growth. The Nonprofit of The Year award is given to an organization whose strategic vision, passion, and perseverance has led to extraordinary outcomes for the community it serves. Recipients of this award generally utilize new approaches in overcoming obstacles to achieve its mission. The recipient of the Small Business of the Year award exhibits exemplary customer service, commitment to the community, a successful response to adversity, and provides innovative products and/or services. The recipient of the Young Professional of the Year award is a Young Professional (under 40 years of age) that demonstrates leadership that benefits the Palm Beach North community by creating or contributing significantly to the success of one or more local organizations. The Young Professional of the Year demonstrates a commitment to the Palm Beach North community by inspiring community-wide support through influential positions and roles served in their profession and community, and reflect a high level of character, integrity and personal/professional values. Cocktail Reception and Silent Auction 5:30 - 6:30 p.m.
Dinner served at 6:30 p.m. with program following. *Registration deadline: Friday, May 10 at 5 p.m. No walk-ins will be permitted. Call Greg Goodman at (561) 748-3953 to learn more and to purchase sponsorship packages.